The workshop will consist of each person working actively in their sketchbook with pencil, ink, watercolor and markers. Students will learn the techniques and habits of using the sketchbook as a personal tool and explore sketching natural plants, objects, people, buildings and the landscape as well as ideas for patterns. The focus will be on working portably and quickly. 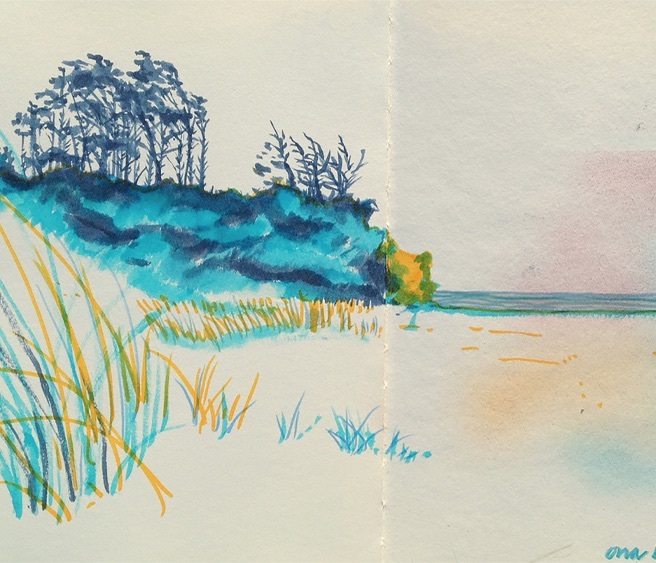 Travel sketching is an application often used by students following the workshop. Ken O’Connell is Professor Emeritus of Art from the University of Oregon and founder and President Emeritus of Imagination International. He brings energy and a love of sketchbooks to his workshops. He will show you how he filled his 91 sketchbooks and teach you how to explore with yours. O'Connell has been teaching sketchbooks in the NW and in Italy since 2004. His sketchbooks are currently on exhibit in Eugene at the Jordan Schnitzer Museum of Art in \"Visual Magic\", January 19 to May 12, 2019.